Eklipta wall or ceiling lamp designed by Arne Jacobsen for Louis Poulsen, 1950s. 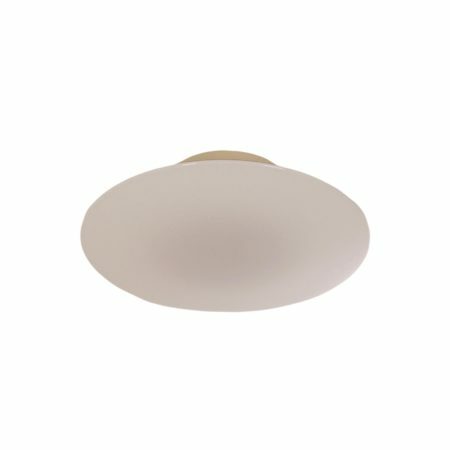 The shade is made of white mouth blown opal glass. Considering its age this lamp is still in good condition, the screws have ever been replaced. There are two small E14 crew bulb holders in the lamp. Material: aluminium and glass. Colour: white. Dimensions: h x d = 11 x 35 cm.